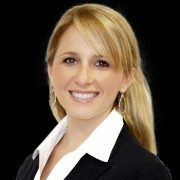 With a decade of leadership experience working for multinational corporations such as AIG and Whirlpool, her passion for talent and organizational development drove Jessica to immerse from the legal field to Human Resources. In addition to her JD and master’s degree in corporate law, she holds a master in organizational psychology and has focused her career on developing people solutions aimed at improving business performance. Jessica joined Endeavor Schools to shape our future through world-class education and empower others to reach their fullest potential.